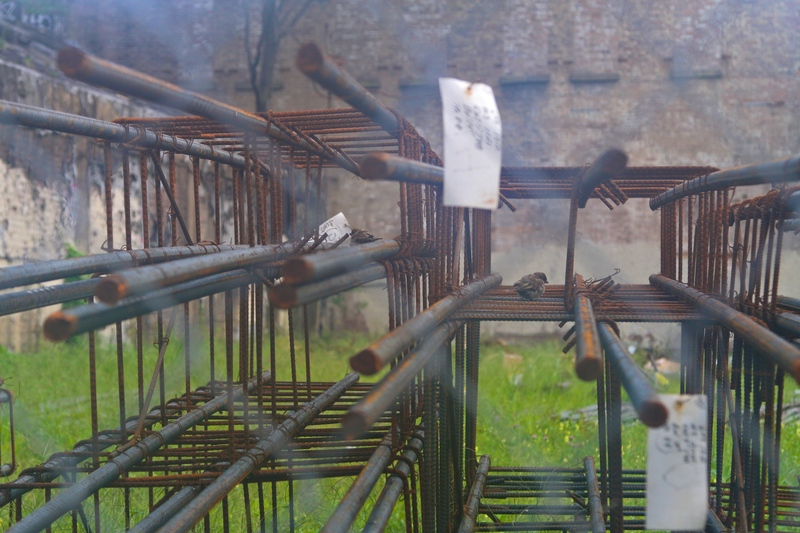 How does the old saying go: a bird in the hand is worth two in the pile of rebar? I think that’s right. My neighborhood is filled with rubble “up and coming,” and some construction materials have recently moved into an empty lot across the street from my building. I was fascinated by the lines and shapes created by these stacks of rebar — more so when I saw birds hopping between the bars, using it as their personal jungle gym. I snapped this shot of the bars and birds, offset by the bright green grass, through a chain-link fence. This week, share what you see on the inside. It could be something literally inside, like these birds in the rebar or the inside of your home or favorite hideaway. If you’d like, go in a personal direction — share a photo of your best friend laughing, showing how she feels on the inside, or an arresting shot of your son’s blue eyes (windows to the soul, dontcha know). This is also a great opportunity to put what you learned in Jeff Sinon’s guest post on composition into practice. IN A NEW POST CREATED FOR THIS CHALLENGE, SHARE A PHOTO THAT SAYS INSIDE. I like “inside” as a theme! Very Broken Light. Many possibilities. Thanks! Inside (literal and personal) by a contributor with depression and anxiety. A prayer for light and peace in Zamboanga, southern Philippines. Yes this will be great! I am really looking forward to the possibilities and to see what others do. I like the mental health interpretation here. Love this photo. Softness in complex framework. “Inside” was the very first Weekly Photo Challenges I ever did … looking forward to another crack at it! Thank you michelle for the wonderful prompt. You guys give some awesome ideas. This is going to be a super fun challenge! very inspiring. It could be inside my mind, or inside the mind of animals….I don’t know yet. Uh oh this seems kind of abstract, but I will be ok. I can do it. An interesting one – going to give this some thought. Thanks for the challenge. I cannot see your post. Love the challenges by the way! Intriguing photo, Michelle. And a fine theme! I think we must all sit around just waiting for the challenge! I know I do. Here’s my entry for the week. 411 Responses While this challenge is closed to new entries, we encourage you to visit the Reader to find other avid bloggers. Mabel Kwong When Is Street Food Safe To Eat? Kan Walk Will Travel To Like or Not to Like? Rob's Surf Report Weekly Photo Challenge: Inside, #1: What’s in my head? Anne Squared Weekly Photo Challenge: Inside – Have You Ever Had a Cat Scan? The Urge To Wander Virility On Tap! Penne 4 Your Thoughts Outside in or inside out? Testimonies of a Liar Weekly Photo Challenge: Inside.